A CLINICAL RESEARCH STUDY is currently evaluating an investigational drug for the treatment of moderate to severe osteoarthritis knee or hip pain. • Are you 18 years of age or older? 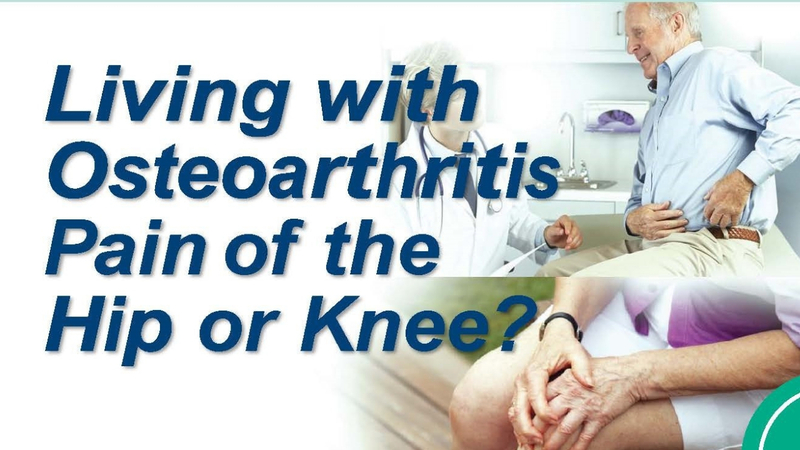 • Have you been diagnosed with osteoarthritis in your knee or hip? • Are you experiencing moderate to severe knee or hip pain? • Are you intolerant to your current OA pain treatment? • Is your current treatment not providing adequate pain relief? If you answered yes to these questions, you may be eligible to participate in this study.